Sandy Schuck is a Professor of Education in the Faculty of Arts and Social Sciences (FASS). She was the Director of Research Training in FASS 2011-2018. She was the co-founder of the research group STEM Education Futures and co-director till July 2018. She started her career as a secondary school teacher and then became a lecturer in primary and secondary mathematics education. She has taught in a number of areas concerning teacher education, and is a member of several faculty and university committees. 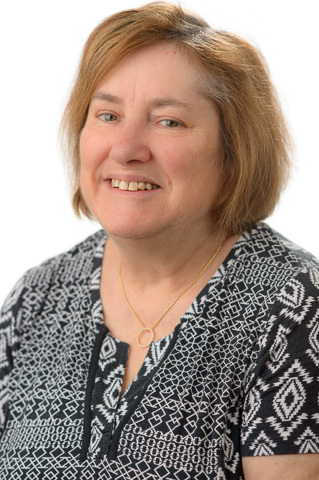 Sandy Schuck has researched in the areas of mathematics education, technology-enhanced learning, teacher learning and teacher attrition and mentoring. She was awarded the UTS Research Excellence Award for Researcher Development in 2010. She was a chief investigator on an ARC Discovery Grant,Optimising mobile learning in maths and science 2015-2018, part of the Maths Inside team investigating how to engage school students in maths learning, funded by the Office of the Chief Scientist as part of the Australian Mathematics and Science Partnership Project 2014-2018 and is currently part of the international Erasmus Plus project, Developing and Evaluating Innovative Mobile Pedagogies. She recently co-authored a book on Teacher Education Futures. Mobile learning, mathematics education, technology-enhanced learning, teacher professional learning, early career teaching. Mathematics Education, Mentoring, Research Methodologies and Doctoral Education. © 2018, © 2018 Association for Information Technology in Teacher Education. This article discusses the use of mobile devices by teachers in two Australian schools. It builds on a theoretical framework which considers the location of mobile learning with respect to time and space. The research used a qualitative methodology in which observations, interviews and document analysis were conducted. The study found that the physical and virtual spaces that were used were different from those used in other lessons. Mobile learning facilitated autonomous learning by students, collaboration with their peers and engagement in topics of interest to them. The study found that students and teachers adopted new roles when using the devices, and were untethered from their conventional learning spaces of the classroom. Learning changed in nature and was aligned with contemporary practices in education. Much of the literature on university learning spaces focuses on the undergraduate student experience, neglecting experiences of research students in new spaces. This article is concerned with research students' needs and expectations of a learning space. It focuses on a recently opened shared activity-based learning space that was specifically built for research students. The methodological focus draws on case study methods and hermeneutic phenomenology to observe students' lived experience in the new space and how they make sense of it. Twenty-six data sets, involving interviews, surveys and feedback, were collected from research students. The findings were analysed across three themes: physical, virtual, and hybrid space; a space free of distractions; and belonging to, and interaction with, university community. The article indicates the benefits of the new space for research students and articulates the particular needs of research students in such spaces. The twenty-first century has seen unprecedented investment from governments around the world in educational technologies in schools. This paper investigates Australian teachers' adoption and use of a popular technology that has been extensively supported by governments and school systems: the interactive whiteboard (IWB). The study suggests that a number of the barriers identified in the early days of adoption and use of this technology, such as professional support and access, still remain for many teachers, thereby impeding effective practices. The research also found that primary school teachers were using the technology in diverse ways, in contrast to secondary teachers who were using the IWB mainly for instructionist, presentational purposes. We conclude by considering various ways of reducing the effect of the identified barriers to support implementation of educational technologies in the classroom, especially the next generation of technologies promoted by governments and systems. This research examines how the pedagogical orientations of teachers affect technology adoption in the classroom. At the same time, the authors account for the stage of concern that teachers are experiencing regarding the use of the technology, their access to the technology and the level of schooling at which they teach.The authors' investigation of these factors occurs in the context of a contemporary technology, the interactive whiteboard (IWB), in Australian schools. A structural equation model was estimated using a reflective measure of technology usage with antecedents in the form of pedagogical-oriented beliefs and best–worst scaling derived scores for a teacher's stage of concern regarding IWBs. Teachers with constructivist-oriented pedagogical beliefs were significantly more likely to use IWBs than transmission-oriented teachers. However, the strongest determinant of usage was whether the technology is immediately accessible or not. that roles of teachers and students and structure of the curriculum need to change to ensure we leverage the potential of mobile learning. Recent research in teacher education futures has identified two themes that require further study: the changing nature of knowledge and the changing capabilities of technologies. This article examines the intersection of these two themes and their implications for teacher education. The research employed futures methodologies based on scenario creation. With a focus on the above themes or dimensions, a panel of experts was interviewed to draw on its collective wisdom to explore alternative teacher education futures. Data from these interviews were analysed to stimulate the construction of four future teacher education scenarios. Feedback on the scenarios was obtained from teacher educators in Europe and Australia. The scenarios were then revised based on this feedback. The final scenarios are presented here as a way of provoking discussion among teacher educators about teacher education futures. Copyright © The Author(s) 2016 The mandate for living sustainably is becoming increasingly urgent. This article reports on the Climate Clever Energy Savers (CCES) Program, a student-centred, problem- and project-based program in New South Wales, Australia, aimed at enabling school students to identify ways of reducing their schools' electricity consumption and costs. As part of the program, students apply for Department of Education and Communities funds to address issues of electricity usage, such as building or appliance modifications, or education campaigns. In particular, this article focuses on the systemic approach used to assist teachers and students in meeting the aims of the CCES program, the Sustainability Action Process (SAP). To ascertain the contribution and value of such a framework in achieving project outcomes and associated learning and attitudinal change, we investigated teachers' and some students' uses and opinions of the SAP via surveys (n = 434), 16 interviews, and analysis of documents such as student work samples and lesson outlines. Our research indicates that the SAP has been a highly effective, enabling and engaging tool in helping students to identify ways and means of reducing electricity consumption and evaluating their effectiveness, as well as identifying allies and other sources of assistance in carrying out their projects. Given the ubiquity of mobile devices being used by students in their university, a group of lecturers formed an action-learning group to learn collaboratively about enhancing their teaching with mobile pedagogies. The community of learners developed a process for setting goals for themselves, and for implementing action plans to do with integrating mobile technologies in teaching. The article discusses the processes used and the lessons learned through this project. These findings have informed work done with schools that are trying to integrate mobile learning into their classrooms. Collaborative research partnerships are widely recognised as being of value. This paper examines the benefits, constraints and challenges of research partnerships between teacher education faculties in universities and teacher employing authorities or departments of education and schooling. A case study of a collaborative research partnership between an education faculty and a teacher employing authority is examined to illustrate the features that supported a truly collaborative partnership and also to provide insights about the challenges that occurred. This research partnership was studied using self-study methods. The partnership between the individual researchers was examined in the context of the systemic partnership, to investigate the impact of the two contexts on each other and on the partnership. Constraints and facilitators of this collaborative partnership are identified in this paper. The feasibility of truly collaborative partnerships between institutions with differing aims and methods of operation is critiqued, using this particular partnership as an illustrative case study. Education is facing significant political and contextual challenges that will impact its future. This study employs a Delphi methodology to investigate teacher educators views of current trends and their consequences for teacher education futures. Interviews were conducted with a sample of expert teacher educators drawn from eight countries. This provided international perspectives on both local and global trends. The data were analysed to identify and elaborate key themes reported by the participants. The article draws on these themes to develop brief narratives around current developments that the teacher educators argue will have a major impact on the future of teacher education. These narratives are used to develop possible scenarios to inform thinking about teacher education futures. This paper reports on a study of a community of university educators that investigated the introduction of mobile technologies into their learning and teaching. The study was conducted by a subgroup of that community. Given the ubiquity of mobile devices, members of the community felt they needed to develop expertise in mobile learning so that they could incorporate it into their teaching. They studied their own learning, supported by a critical friend who evaluated the community's functioning and activities, providing valuable feedback. Activities of this group were informed by and focused on: development of awareness of the potential of mobile devices for learning; construction of action plans within the community; and implementation of these plans. They also included investigating best-practice approaches by interviewing experts in the field, exploring the literature on mobile learning and then initiating and testing some mobile learning pedagogies in the context of their own teacher education subjects. The community met regularly to discuss emerging issues and applications. The paper shares some of the findings gained from studying the community, and discusses the challenges and constraints that were experienced. The authors conclude with recommendations for professional learning communities aiming to learn about technology-mediated teaching practices. Many countries report high attrition rates among beginning teachers. The literature cites many factors that influence a teachers decision to remain in the profession. These include remuneration, workload, support, administration and parents. It is unclear, however, which factors matter most to teachers and, consequently, where best to direct limited resources. This study uses Best-worst Scaling (BWS) and complementary experimental design methods to quantify the relative importance of these factors. The results suggest that improving student engagement, experiencing professional challenges and enjoying collegial support are the most important factors influencing teacher decisions to stay in the profession. Beginning teachers nominate remuneration, recognition, and external factors (e.g., class size; location) as playing a lesser role in their decision to remain teachers. The provision and maintenance of quality teachers is a matter of priority for the profession. Moreover, teacher attrition is costly to the profession, to the community and to those teachers who leave feeling disillusioned. There is a need to investigate the experiences of early career teachers to consider how these issues contribute to decisions about staying in or leaving the profession. This paper reports on an aspect of a larger study on teacher retention. It describes and analyses the experiences of teachers participating in the study and highlights implications for teacher retention. The study proposes the notion of `resilient stayers, and how beginning teachers resilience might be strengthened and supported. It asks what combination of circumstances in the school and the system, and individual resources of resilience on the part of early career teachers, might maximise the chances of teachers choosing to remain in the profession. A growing area of research concerns the increasing use by young people of mobile phones. Inevitably, researchers interested in exploring the lives and habitus of young people must also consider their engagement with the ubiquitous mobile. This research, however, can create a number of ethical dilemmas, some that are already discussed in literature on internet use and ethics, but also others that are more specifically related to mobile usage, such as the trail left by the data from mobile technologies, and the inclusion of third parties in research without explicit permission. This article discusses the ethical dilemmas arising in this research with young people; it indicates how these dilemmas may challenge current research ethics guidelines and provides recommendations for ethical research in these situations. Mobile learning is a relatively new phenomenon and the theoretical basis is currently under development. The paper presents a pedagogical perspective of mobile learning which highlights three central features of mobile learning: authenticity, collaboration and personalisation, embedded in the unique timespace contexts of mobile learning. A pedagogical framework was developed and tested through activities in two mobile learning projects located in teacher education communities: Mobagogy, a project in which faculty staff in an Australian university developed understanding of mobile learning; and The Bird in the Hand Project, which explored the use of smartphones by student teachers and their mentors in the United Kingdom. The framework is used to critique the pedagogy in a selection of reported mobile learning scenarios, enabling an assessment of mobile activities and pedagogical approaches, and consideration of their contributions to learning from a socio-cultural perspective. The paper discusses the implications of the current phenomenon of adolescent engagement in digital spaces. Young people are increasingly active Web 2.0 users, and their interactions through these technologies are altering their social identities, styles of learning, and exchanges with others around the world. The paper argues for more research to investigate this phenomenon through the use of virtual ethnography and identifies the ethical challenges that lie therein. It raises questions for school education and presents an argument for studying the area in culturally sensitive ways that privilege adolescents voices. This article frames and theorises the nature of adolescents' informal experiences in Web 2.0 environments to articulate their fit or misfit with current conceptions of school education and educational practices. Adolescents are increasingly active Web 2.0 users. However, the traditional research and education communities have been slow to respond to the rapid emergence of the digital generational culture. Adolescents' new ways of interacting and producing could possibly render current configurations of schooling obsolete and hence require new conceptualisations of schooling. While scenarios for schooling in the future have been broadly discussed by educators, little analysis exists of the possible impact on these scenarios of adolescents' engagement with Web 2.0 spaces. This article discusses how these new visions might influence, disrupt and interact with future schooling scenarios and educational practices. This article frames and theorises the nature of adolescents' informal experiences in Web 2.0 environments to articulate their fit or misfit with current conceptions of school education and educational practices. Adolescents are increasingly active Web 2.0 users. However, the traditional research and education communities have been slow to respond to the rapid emergence of the digital generational culture. Adolescents' new ways of interacting and producing could possibly render current configurations of schooling obsolete and hence require new conceptualisations of schooling. While scenarios for schooling in the future have been broadly discussed by educators, little analysis exists of the possible impact on these scenarios of adolescents' engagement with Web 2.0 spaces. This article discusses how these new visions might influence, disrupt and interact with future schooling scenarios and educational practices. © 2010 Taylor & Francis. This paper reflects on the role of mobile learning in teachers professional learning. It argues that effective professional learning requires reflection and collaboration and that mobile learning is ideally suited to allow reflection-in action and to capture the spontaneity of learning moments. The paper also argues for the value of collaborations between teachers and students in professional learning. It suggests that authentic artefacts and anecdotes, captured through mobile technologies, can enable the sharing, analysis and synthesis of classroom experiences by teachers and students. Such analysis and synthesis helps to encourage collaborative reflective practice and is likely to improve teacher and student learning as a result. Ethical issues that might arise through using mobile technologies in this way are also discussed. Teacher voice is presented to indicate the range of views about mobile learning and to indicate current practices. Practical, school systemic, attitudinal and ethical factors may inhibit mobile technology adoption; these factors need to be researched and addressed to realise the potential of teacher mobile professional learning. This article examines the findings of a research program that investigated primary school mathematics teaching by graduates of the teacher education program at the University of Technology Sydney. The research comprised two distinct studies, one examining the experiences of student teachers in our teacher education program and the other considering the experiences of our graduates once they began to teach. I focus on what I learnt from these studies, particularly on the second one that highlights dilemmas faced by teacher educators when preparing their students for the realities of the classroom. I discuss the overwhelming nature of the experience of the first year of teaching and argue for more support from teacher educators for helping their graduates in those early days of teaching. This research project investigated the use of interactive whiteboards (IWBs) in K-12 education. Exploration of the use of IWBs in six different school settings provided insights into the activities, approaches, roles and beliefs of students and teachers in a range of primary and secondary class contexts and discipline areas. The study was informed by socio-cultural theory and a major focus was on the interactions between the new technology, pedagogy and the social conditions of the classroom. The findings presented in this paper focus on the pedagogical aspects of using IWBs that emerged from the study. In this discussion paper we seek to challenge prevailing wisdoms in higher education regarding the value of measuring teaching quality, prescribing standards for professionalism and using student satisfaction as an indicator of teaching effectiveness. Drawing on the literature, we explore and probe four wisdoms in an attempt to identify and problematise popular assumptions about teaching and professionalism. We suggest that externalising procedures for assessing quality can be counter-productive to effective teaching and learning and propose core values we see as central to enhancing higher education practice: collegial reflection on practice, consideration of ethical issues and risk-taking. The paper discusses the value of peer observation followed by professional learning conversations for the professional development of teacher educators. The authors analyse their shared learning experiences and articulate what challenged them in these experiences. They discuss the ways in which their perceptions of this process differed or were similar. The grounding of the experience in a context of trust and professional relationship was seen as an essential part of the learning process. The authors highlight the importance of the cognitive-emotional and personal-professional aspects of teacher educators' lives in supporting their learning through the combination of peer observation and ongoing professional learning conversations. Universities in many western nations are experiencing increasing performance measures for academic accountability. This paper maps the pitted pathway that has led Australian universities from mentoring to monitoring and from performance enhancement to performance evaluation, and reviews implications for teaching and learning in higher education. We explore understandings of good mentoring and its effects and examine the social and political climate out of which quality assurance processes have arisen, to articulate the aims and philosophies underpinning these approaches. Drawing on the published literature, we critique processes that have as their main goals monitoring rather than mentoring, and performance evaluation rather than performance enhancement. From our perspectives as teachers in higher education in Australia we raise issues for consideration, including the tensions between practice and promise and the roles of mentors and monitors in promoting growth or compliance. We discuss criteria and models for evaluating mentoring and monitoring. Many mathematics educators share a view of mathematics as a social and cultural phenomenon and believe that the learning of mathematics concepts is developed and enhanced through the use of learning communities. Electronic discussion boards provide one avenue for supporting such social learning. This paper discusses the use of a Question and Answer section of a discussion board in a first year mathematics education subject for primary student teachers, and the way in which this facility fits with ideas of social learning. Theoretical perspectives of social learning in mathematics through the use of an electronic community are explored. Examples are given of how learning was developed through questions and answers in the mathematics education subject and insights shared regarding the various uses of this facility by the students. Issues related to participation, peer misconceptions, learning styles and teacher intervention are raised and discussed. The paper concludes that for students who are comfortable with the use of electronic conferencing, there is value in Question and Answer facilities in raising autonomy and supporting conceptual understanding of mathematical concepts, but that the medium does not suit all learners of mathematics. It is becoming increasingly apparent that there is a need for higher education institutions to support their staff in the development of course offerings that are either online or have Information and Communication Technologies (ICT) integrated in meaningful and effective ways in them (Burbules & Callister 2000, Franklin & Peat 2001). Consequently, the Faculty of Education at the University of Technology, Sydney embarked on a professional development project, the eChange Project, in 2000 which has continued 2001-2003. It has the goals of supporting academic staff in developing pedagogically appropriate online components in their subjects. The project is underpinned by change management principles as suggested by Scott (1999), Brown (1999), and confirmed by Trowler and Cooper (2002). eChange agents were appointed from within the faculty to implement the project. Factors such as managerial support, the development of good working relationships between the agents and the academic staff, and the opportunities for staff to consider and discuss problematic issues raised by the introduction of online learning, have contributed to the successes of the project. Time constraints, cynicism about the value of using ICT to enhance teaching and learning, staff and student satisfaction with current methods of teaching, and access and equity issues have been barriers to uptake for some of the faculty staff. In a research study conducted with first year prospechve primary school teachers, beliefs about and attitudes towards mathematics were investigated. It was found that prospective teachers generally percmved good mathematics teaching to include the provision of enjoyable experiences. However, most of the student teachers did not percmve enjoyrnent as having an intellectual component. Further, they often expressed the belief that being knowledgeable about mathematics was a disadvantage for a primary school teacher. It was as if student teachers see mathematics teaching as brightly coloured wrapping around an empty box. Implications of these findings for mathematics teaching and teacher education are discussed. Prospective primary school teachers enter their mathematics education subject sequences in their teacher education programs with a number of chains fettering them to the past. The study described below examines the beliefs and attitudes of prospective primary school teachers with respect to the learning and teaching of mathematics. Some of these beliefs act as chains which could impede re reform in the teaching of mathematics. These constraints are analysed and their implications considered. Some suggestions for the breaking of these chains are proposed. It is through awareness of what students and teacher educators bring to their teacher education courses that negotiation of powerful ideas can occur. As mobile technologies become more multi-faceted and ubiquitous in society, educational researchers are investigating the use of these technologies in education. A growing body of evidence shows that traditional pedagogies still dominate the educational field and are misaligned with the diverse learning opportunities offered by use of mobile technologies. There is an imperative to question those traditional notions of education, including how, where and when teaching and learning are enacted; and to explore the possible mediating roles of new mobile technologies. New smart pedagogies, which embrace the affordances offered by mobile technologies, have the potential to disrupt notions of schooling. In this chapter, we examine the nature of smart pedagogies and their intersection with mobile pedagogies. We unpack notions of innovation and disruption. We then discuss smart mobile learning activities for school students identified from a Systematic Literature Review, together with the pedagogical principles underpinning them. We argue to encourage smart pedagogies, teacher educators should support teachers to implement 'feasible disruptions'. Consequently, implications for teacher education are explored. These reviews have suggested changes to the structure, content and approaches in teacher education. However, little change seems to occur as a result of these reviews. This chapter reports on an external evaluation of a state-wide Education for Sustainability program conducted in NSW, Australia. This program, Climate Clever Energy Savers, conducted by the NSW Department of Education and Communities, invited students in primary and secondary schools (from years 3 to 10), under the guidance of their teachers, to submit proposals for funding projects to the value of up to $2000 aimed at reducing their school's electricity consumption and costs. The chapter situates the program in the context of the need for sustainable development, and the centrality of education in achieving this. The ongoing evaluation has been investigating outcomes of the school-based projects, as well as teachers' views on the support made available to the teachers and students undertaking them. More specifically, this chapter investigates three illustrative sites of practice of the Program, examining outcomes, commonalities and differences across these sites. One feature common to most if not all projects is the use of the Sustainability Action Process as a framework for guiding the progress of all projects. This will form one mode of comparison of implementation of the projects across the specific and diverse sites. The chapter will conclude with implications for practice and further research emerging from the case study investigations. The ubiquity, accessibility and flexibility of mobile technologies suggests they will be valuable for professional learning, particularly in professions where most of the work does not occur at a set workstation. This chapter focuses on two such professions: teaching and nursing. But their use by these professions is not unproblematic (Aubusson, Schuck and Burden, 2009; Fisher, Higgins and Loveless, 2006; Wishart, 2009 ). While mobile activities are likely to contribute to these professionals' learning in the workplace, a tension arises regarding the ethical nature of such activities. This chapter explores the complexities and confusion faced by teachers and nurses in their use of work-based mobile learning. The chapter considers the ethical issues involved in the use of mobile technologies to capture, reflect upon and share moments of professional learning in these work-based contexts. It suggests a number of ethical principles which might provide a useful guide for professional practice for teaching and nursing and beyond. The chapter argues for the value of self-study of teaching and teacher education practices that is focused on a particular disciplinary domain. In this case the domain is mathematics education. We argue that teaching and learning mathematics has unique characteristics, challenges and joys. Self-study of teaching maths helps to identify, articulate and reframe those characteristics and the assumptions underlying them. We discuss the increasing emphasis in maths education on communication, problem solving, reflection and making connections with other concepts and areas, and consider the views and status of maths education existing in different countries. The study of maths suffers from low uptake at the higher levels and static teaching in secondary schools. At the same time primary school teachers often feel anxious about their competence in maths and this anxiety transfers to their students. For this reason, it is essential to disrupt practices and initiate new ones in teacher education programs. Self-study of teaching and teacher education supports this process. As an experienced mathematics teacher educator, how can I creatively disrupt my current practices? In this chapter I describe what happened when I invited a teacher educator of social studies into my classroom to help me challenge my assumptions and reframe my practice. Would a critical friend, with similar passions about teacher education but a different discipline expertise, help me to see things that a colleague from maths education might not see? Certain issues arose in our discussions, including my nervousness before classes, my efforts to build a safe and welcoming environment for the students, the relative importance of our different subject areas, the aims we each hold for our classes, and our thoughts about control. I found that my ideas of maths teaching, highly influenced by reform notions of maths education, needed to be made more visible to my critical friend. This gave me important insights into the assumptions I hold that might need to be made more explicit to my students. The critical friendship did disrupt my complacency, and it also stimulated my thinking about my aims for my teaching and for my students' learning. For both of us, the critical friendship contributed a different set of lenses with which to view our teaching. The chapter discusses the complexities that are an inevitable part of mathematics teaching, introduces the concept of a 'third space' as a way of thinking about these complexities, shows how the chapters in the book can be located within a third space, and explores ways in which the metaphor of a third space can be used to gain insight and raise questions. The chapter concludes with an appeal to readers to try their own discipline based self-studies as a way to rejuvenate their own practices. Schuck, SR & Foley, GW 2010, 'Viewing Mathematics in New Ways: Can Electronic Learning Communities Assist?' in Bishop, AJ (ed), Mathematics Education, Routledge, UK, pp. 75-90. Collection of major works in four volumes. Schuck, SR & Segal, G 2002, 'Learning about our teaching from our graduates, learning about our learning with critical friends' in Loughran, J & Russell, T (eds), Improving Teacher Education Practices Through Self-study, Routledge/Falmer, London, UK, pp. 88-101. Zeivots, S & Schuck, S 2017, 'Activity-based spaces for research students (workshop)', New Generation Learning Space Design 2017, Sydney. This paper reports on a project in which a learning community of higher educators was formed to investigate how best to use mobile technologies in their own learning and teaching. Activities of this group included investigating best practice approaches by interviewing experts in the field, exploring the literature on mobile learning and then initiating and testing some mobile learning pedagogies in the context of their own higher education subjects. The community met regularly to discuss emerging issues and applications. The paper shares some of the findings gained both from the expert interviews and from the experiences of members of the community, and discusses the challenges and constraints that were experienced. We conclude with recommendations for promoting mobile learning communities in higher education. The paper provides a framework for mobile learning that highlights three key features characterising such learning. These features are authenticity, social interactivity and customisation. The features were suggested through their presence in two mobile learning projects, Mobagogy, a project in which a higher education learning community developed understanding of mobile learning and The Bird in the Hand Project, which explored the use of smartphones by trainee teachers and their mentors. This paper frames and theorises the nature of adolescents informal experiences in Web 2.0 environments to articulate their fit or misfit with current conceptions of school education. Adolescents are increasingly active Web 2.0 users. However, the traditional research and education communities have been slow to respond to the rapid emergence of the digital generational culture. Adolescents new ways of interacting and producing are likely to render current configurations of schooling obsolete and hence demand new conceptualisations of schooling. This paper discusses how these new visions might influence, disrupt and interact with future schooling scenarios. This paper reflects on the role of m-learning in teachers' professional learning. It argues that effective professional learning requires reflection and collaboration; and that m-learning is ideally suited to allow reflection-in-action and to capture the spontaneity of learning moments. The paper also argues for the value of collaborations between teachers and students in professional learning. It suggests that authentic artefacts and anecdotes, captured through mobile technologies, can enable the sharing, analysis and synthesis to improve classroom learning environments. Opportunities fro usercreated content are discussed as well as ethical issues that might arise through using mobile technologies in this way. Practical, school systemic, attitudinal and ethical factors may inhibit m-technology adoption; these factors need to be researched and addressed to realize the potential of teacher mobile professional learning. The paper discusses the opportunities and challenges presented for current notions of schooling by adolescent online cultures. Young people are increasingly active Web 2.0 users and their interactions through these technologies are altering their social identities, styles of learning, and exchanges with others around the world. The paper argues for the need for more research to investigate this phenomenon through the use of virtual ethnography and identifies the ethical challenges that lie therein. It raises questions for school education and presents an argument for the need to study the area in culturally sensitive ways that privilege adolescents voices. In this paper, we discuss the fit between educational technologies and teacher views and pedagogies in light of two recently completed research projects. These studies focused on observed pedagogies associated with the classroom-based use of two learning technologies: (student-generated) digital video, and interactive whiteboards (IWBs). The paper considers the use of these two learning technologies from a socio-cultural perspective that recognizes that the nature of tools and the nature of societal use of these tools are mutually dependent. We raise questions of how the inherent nature of different technologies might shape different learning experiences and outcomes, and whether certain technologies fit better with some pedagogical approaches than others. Schuck, SR, Buchanan, JD & Gordon, SE 2006, 'Improving student learning through teaching: Questions we should be asking', Improving Student Learning Through Teaching. Proceedings of the 2006 14th International Symposium., 14th Improving Student Learning International Symposium, Oxford Centre for Staff Learning and Development, Bath, UK, pp. 282-292. The paper discusses the experiences, needs and concerns of newly appointed teachers in four separate studies conducted by UTS teacher educators over the years 1999-2006. Newly appointed teachers were invited to participate in an online support network in each of the studies. The studies were all small in scale, and allowed teachers to express their concerns, aspirations and experiences to others in the online network. Although participation in the online network was limited, those who did participate found the network to be supportive and helpful in providing much-needed advice and suggestions. Support was offered by mentor teachers, lecturers from the university and the other newly appointed teachers in the network. The paper will highlight the common issues regarding online access to support, as well as aspects of online interaction that were found to be beneficial to participants. It will also discuss issues of participation as highlighted by the different designs of the four studies, and indicate the strengths and weaknesses of each of the research designs with regard to meeting the needs of the participants. New developments with digital video and editing software have facilitated the use of student-generated video to enhance teaching and learning. The project discussed in this paper investigated the value of such use for enhancing pedagogy in K-12 schools. The collaborative project between academics from a NSW university and Apple Computer Australia identified, examined and analysed pedagogical practices in relation to use of this technology in five case schools. This paper will focus on the perspectives of the teachers in the study and their rationale for using student-generated digital video in their classrooms. It will also analyse important contextual factors in the schools which contributed to successful practices with digital video. Schuck, SR 2001, 'Walking the electronic tightrope: Questions surrounding infusion of IT into education subjects', Improving Student Learning 9: Improving student learning using learning technology, Improving student learning using learning technologies, 9th International Improving Student Learning Symposium, Oxford Centre for Staff and Learning Development, Edinburgh, Scotland, pp. 186-194. Schuck, SR, Segal, G, Anderson, T & Balding, P 2000, 'Mentoring beginning teachers: a seamless process of induction', Change & Choice in the New Century, CERG, UTS, Sydney, Australia, pp. 211-217. Schuck, SR & Segal, G 2000, 'Good luck, goodbye, have a nice career: questioning our responsibilities & our learning as teacher educators', Third International Conference on Self-study of Teacher Education Practices, Queen's University, East Sussex, UK, pp. 223-227. This project was commissioned by the NSW Department of Education and Training. This four and a half year research project had the aims of tracking a cohort of final year (2005) preservice teacher education students through their post-graduation experience into 2006, 2007, 2008 and 2009, in order to understand more clearly the reasons why some early career teachers (ECTs) in NSW public schools choose to leave the profession, and why others choose to remain; and in order to develop strategies to increase the retention rate of effective teachers during their early years of teaching. Schuck, SR & Kearney, MD NSW Department of Education and Training 2007, Exploring pedagogy with interactive whiteboards: A case study of six schools., pp. 1-88, Sydney, Australia. Schuck, SR & Kearney, MD UTS 2007, Exploring pedagogy with interactive whiteboards: A case study of six schools., pp. 1-113, Sydney, Australia. This study investigated pedagogy, attitudes, and school contexts in six schools in which interactive whiteboards are being used. The research questions that guided this study are the following: â¢ What do teachers and students see as the value of using interactive electronic whiteboards in lesson designs and what beliefs do they hold about this technology and its relationship to learning and teaching? â¢ What is the role of the school in promoting innovative use of the technology? What other contextual factors constrain or enhance the use of this technology in teaching and learning? â¢ What learning outcomes are supported by the use of interactive electronic whiteboards in various Key Learning Areas? What learning tasks are associated with these outcomes? â¢ What pedagogical approaches are being used with this technology? â¢ What does reflection about good practice and insights provided by the cases suggest about principles of good practice using interactive electronic whiteboards? The study comprised a case study at multiple sites, four of them primary schools and two high schools, all in NSW. The schools were all DET schools and there were three in the metropolitan Sydney region, one in an urban area out of Sydney and two in a rural area. The study was a qualitative one, investigating perceptions and usage through interviews, focus groups, observations and document analysis. This project investigated the value and use of student-generated digital video for enhancing pedagogy in K-12 schools. It aimed to identify, examine and analyse pedagogical practices in relation to use of this technology in five case schools. A further aim was to articulate the principles, contexts and approaches underlying these practices. An understanding of the practices and approaches which enhance or constrain pedagogy in these five cases will contribute to a future larger study. Principles of good practice developed in this study will be used to inform future research on models for enhancing pedagogy with digital video in education. Buchanan, JD, Schuck, S & Aubusson, P NSW Department of Education and Communities Future generations: Evaluation of the Climate Clever Energy Savers Program. Investigating mobile intensive pedagogies in schools. How do beginning teachers meet the challenges and constraints of teaching mathematics and science in the primary school?